Nice little video but what would really help these points is a reference to the source of the data. 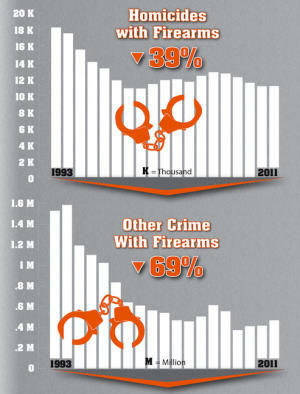 Are these FBI statistics? Editor: According to the NSSF, the gun sales data is derived from NSSF-adjusted National Instant Criminal Background Check System (NICS) data. 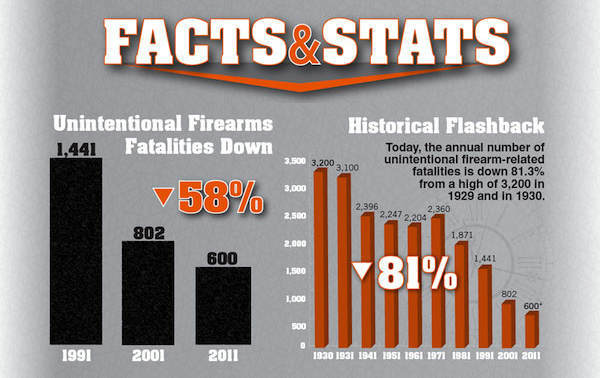 The adjusted NICS data were derived by subtracting out NICS purpose-code permit checks used by several states such as Connecticut, Illinois, and Utah for CCW permit application checks as well as checks on active CCW permit databases. 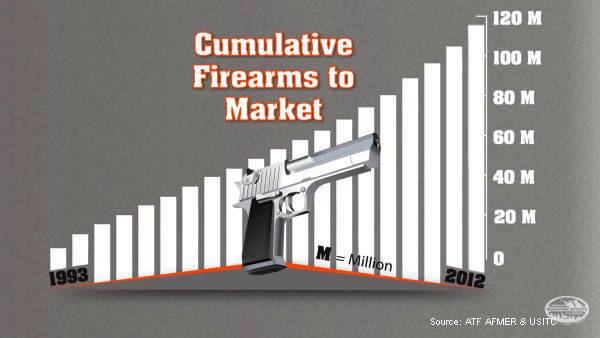 Though not a direct correlation to firearms sales, the NSSF-adjusted NICS data provide a more accurate picture of current market conditions. In addition to other purposes, NICS is used to check transactions of firearms sales and transfers on new and used handguns and long guns. “Gun crime” is used as a pretext by those who have an agenda that is, to disarm America…For short, you cannot argue with those who have an agenda even if you present the real facts.